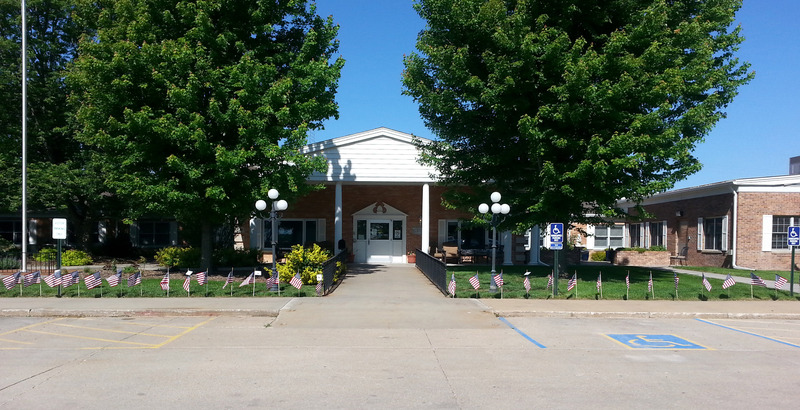 Nemaha County Hospital (NCH), a county-owned facility governed by state law has served Nemaha County and the surrounding area for more than 50 years. NCH’s mission “Quality Care, Every Time.” The five-member board verified physicians, physician assistants, and staff support this mission on a daily basis in the modern facility with state of the art technology. The hospital has updated operating and procedure rooms, emergency room facilities, 16 private patient rooms, state of the art diagnostic imaging center, food services, and patient and visitor waiting areas. NCH was the first state-designated Basic Level Trauma Center in Southeast Nebraska. The hospital spent nearly $7 million on the latest renovations and continues to invest between $200,0000 and $300,000 annually on capital improvements. NCH is currently conducting a $750,000 remodel of their outpatient clinic to provide a more comfortable climate, surrounded by an increased visually aesthetic environment. This remodel was completed in the Fall of 2018. 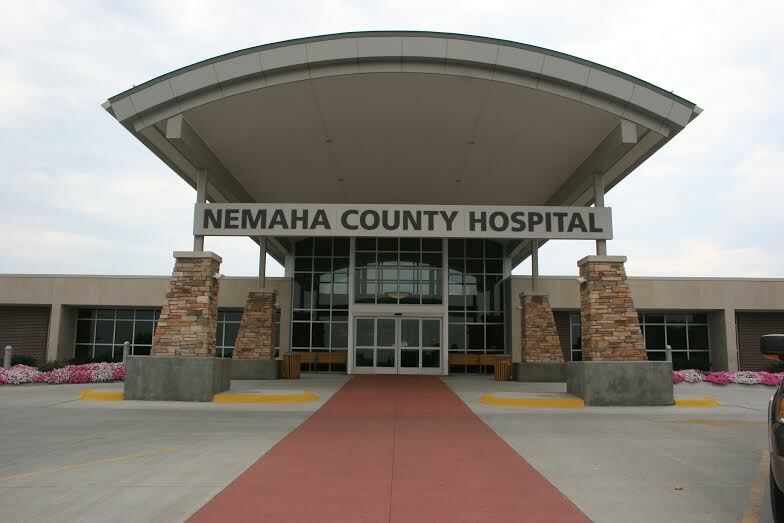 Nemaha County Hospital offers a broad range of health services with nearly 30 consulting specialists. Specialty clinics available include: orthopedic; vascular;obstetrics and gynecology; urology; surgery; podiatry; gastroenterology; pulmonology; ophthalmology; neurology; cardiology; ear, nose, and throat; and oncology. Cardiology services are provided by Bryan LGH Heart Institute and Nebraska Heart Institute. NCH also offers these outpatient services: bone density; Doppler, echocardiogram; pacemaker checks; MRI; mammography; nuclear medicine; ultrasound; CT/PET scans, and more. 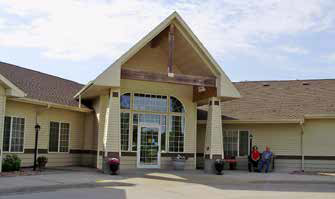 Nemaha County Home Care (NCHC), based in the hospital, partners with all care providers to improve patients’ continuum care, facilitating a smooth transition in care. Emphasizing the team approach, NCHC includes the patient, family / caregivers, pharmacists, physicians, specialists, and the home health team of nurses and therapists to improve outcomes for patient health and wellbeing. Services are available to all ages from newborns to geriatrics. Special areas of service include phototherapy for the treatment of jaundice in newborns, wound, ostomy, and incontinence consultation / education. Good Samaritan Society also provides home health services which include: skilled nursing, physical therapy, occupational therapy, speech therapy, bathing assistance, and homemaking services. Auburn Family Health Center, P.C., is owned and operated by five physicians who specialize in family practice. The health center provides a wide range of services including lab collection and processing,digital x-rays, well-child visits, health care maintenance exams, and other related procedures and services. Auburn Family Health Center, P.C. (AFHC) offers a variety of specialty clinics to serve our surrounding communities. A neurosurgeon travels from Lincoln to AFHC once a month for a neurosurgery clinic. A Women’s Wellness Clinic is offered one Saturday every other month, and has recently been redesigned to reflect changes in cancer screening guidelines and to broaden our approach to the overall healthcare and wellness of all women. Auburn Family Health Center (AFHC), P.C. and Peru State College have joined together to create a medical facility for the convenience of Peru State College students and staff. A nurse from AFHC is available four days a week and an AFHC physician travels to Peru State College twice a week to accommodate the medical needs of both students and staff. The Rural Health Opportunities Program (RHOP) is a cooperative program between Peru State and the University of Nebraska Medical Center (UNMC). Students admitted into the RHOP must be from a rural background. The purpose of the program is to recruit and educate students from rural communities who will plan to practice in the rural areas of Nebraska. It represents a commitment and dedication to quality health care for the citizens of the state. Upon selection into the RHOP, students are automatically pre-admitted into their specific program at the UNMC. Students are strongly encouraged and expected to practice in the rural areas of Nebraska. Currently, Peru State has been allocated three seats in the pharmacy program and four seats in the nursing program. The community of Auburn also has three pharmacies, two dental offices, and a full-service eye clinic. The Auburn Volunteer Rescue Squad, with two ambulances, has 11 emergency medical technicians (EMTs), and numerous non-licensed assistants. 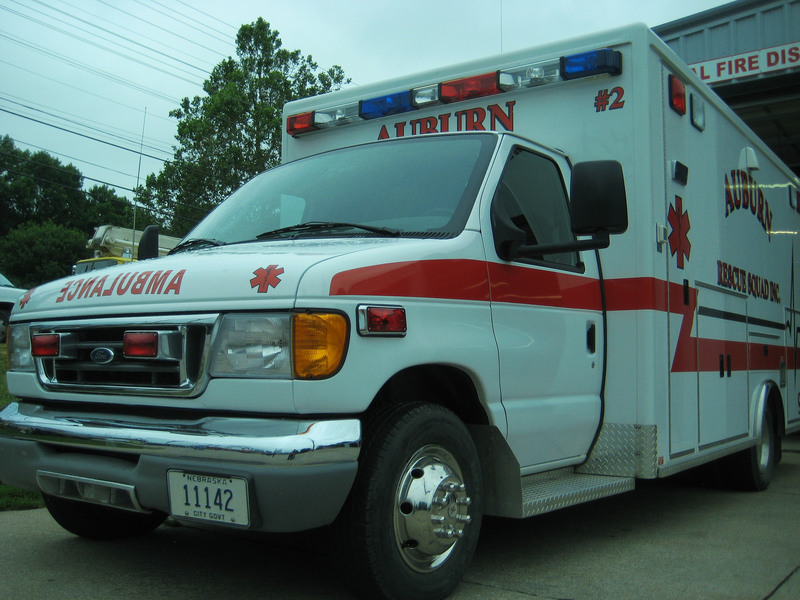 The ambulances are equipped with standard equipment and an automated external defibrillator. The EMTs complete 20 hours of mandatory training every two years for recertification. An executive board, consisting of a captain, lieutenant, secretary/treasurer, and five trustee positions oversee the operations of the department. The Auburn Fire and Rescue Departments respond to emergency calls within the district as well as mutual aid areas and operate the Jaws of Life. Midwest Medical Transport is stationed in Auburn with a full-time paramedic staff, which is an “Advanced Life Support” service that supports the Auburn Rescue Squad and transports for the Nemaha County Hospital.